Early in January 2019 we received an email to the Fielding website, sent by Bryan Leach, telling us about about his father, Len Leach. Bryan now lives in Calgary, Canada, having moved there in 1978. He was born in Stroud. If you remember Len, or if the information reminds you of anything, please click on the words Add a comment about this page below. 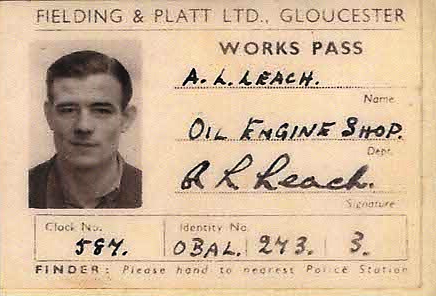 Bryan Leach (Len's Son) - Page added by Alistair Adams.